Financial health isn’t just about absolute wealth. Let me start by saying that this post will likely cause some serious eye-glazing for many of you. If you have no clue what your net worth is and don’t really care, you likely shouldn’t waste much more of your time :-). OK, now let me address the remaining three of you :-). You are likely tracking very traditional measures of personal financial health such as net worth, cash flow, debt-to-income ratio, and so on. While I certainly track those measures as well, I prefer to use alternative measures I’ve developed for myself as a means of reminding me of the components that drive financial health. It’s important to note that it is not my implication that financial measures are the only important ones; in fact, one of the measures below is far from financial. Rather, I want to share with you alternatives to those financial measures used by the rest of the herd. In doing so, I’m giving you insight into my personal take on the subject. I use five base indexes (RWI, AAI, LWI, III, LHI) that can be combined into a single composite index (FHI). Unfortunately, I had to come up with those cryptic-sounding acronyms so as to be able to refer to the calculations in a concise way; it wasn’t my intent to make this sound unnecessarily complex. All indexes are explained below. Best of luck to the now-two of you still reading. RWI is a function not only of your net worth, but also of how much of it is required to purchase your lifestyle. This index measures wealth as a function of lifestyle. The numerator is the very traditional measure of wealth: net worth. The denominator is a measure of how much of your wealth is in “consumable assets” that you are using to create your lifestyle. That is, you can optimize this index by an obvious way, increasing your net worth, or a less obvious way, simplifying your lifestyle thus reducing your consumable assets. Consumable assets are non-investment assets that you actually use or consume: a home, a car, a boat, etc. While you might want to count your primary residence as an investment, for the purposes of this index, it’s something you reside in and thus consume and should be counted towards the consumable assets. Net worth is $200,000 (total assets of $500,000 including a home and total liabilities of $300,000 including a home mortgage). Consumable assets of $400,000 (of the $500,000 in assets, $100,000 is in investments and $400,000 is in consumable assets: a home, cars, and a few toys). The RWI of 50% implies that one’s net worth hasn’t yet reached the point where it covers their existing lifestyle (which also implies debt). Beyond an RWI of 100%, one is starting to gain on their lifestyle and able to invest an increasingly-substantial portion of their net worth into assets that appreciate and/or generate income. In most cases, it’s easier to increase RWI by selling assets that aren’t necessary and don’t contribute to happiness (measured by LHI below). AAI is about ensuring that assets are allocated to optimize overall appreciation. Simply-stated, this index is meant to measure how effectively one’s net worth is deployed irrespective of its size. Someone whose money is primarily in appreciating assets such as a home and financial investments will have a much higher AAI than one whose assets consist primarily of late-model cars, boats, RVs, and other depreciating assets. Current value of all assets is $500,000. Expected value of all assets in 12 months is $509,000, an increase of $9,000. This comes from a home appreciating $10,000, a car depreciating $3,000, and investments appreciating $2,000. All of these are expected estimates; no one can perfectly predict the future. One can optimize their AAI by maximizing their investment in appreciating assets and minimizing their investment in depreciating assets. A brand new, $50,000 car will likely depreciate many times more than a $25,000 used car. This then allows for an extra $25,000 to be placed into an asset that is more likely to appreciate such as real estate or financial investments. LWI measures the degree to which we’re living within our means on a monthly basis. LWI measures to what extent one’s non-discretionary lifestyle expenses are within their means. Non-discretionary expenses are those expenses you must make no matter what (e.g., mortgage payments, gas for your drive to work, necessary groceries, etc.) An LWI of 1.0 means every dollar of income is needed for non-discretionary expenses; an LWI of 2.0 or higher means that one is living so as they could cut their income in half and still be able to subsist and make the minimum and necessary payments. Total after-tax income of $48,000 per year. Non-discretionary expenses of $36,000 per year (including all debt payments). One can optimize LWI by either increasing their income or by minimizing their non-discretionary expenses. Non-discretionary expenses are certainly never zero since there is a cost associated with eating and living; however, there are choices one can make to ensure that their monthly obligations are minimized (e.g., a more gas-sipping car needs less gas, a smaller home costs less in utilities and property taxes, etc.). III measures the degree to which we’ve been able to generate passive income. III measures how much of one’s income comes from passive sources (i.e., investments where they can be only “passively” involved). For most of us, the majority of our income comes from active employment where our time or our regular involvement and presence in a business generates our income. Passive annual income of $6,000 per year from dividends and interest. Total annual income $60,000 per year including both active and passive income sources. At 10%, very little of the example family’s income comes from passive income sources and thus the relatively low income independence index. To optimize III, one must place an increasing proportion of their wealth in assets that generate income including businesses that generate dividends, bonds, rental properties, and so on. For many of us, we don’t think of income generation until we get older since, as younger people, we’re encouraged to invest in assets that appreciate in value but don’t generate income. LHI is about spending time doing what you want to be doing. This non-financial metric is the capstone of the model and puts pressure on the remaining five: one can always work two jobs to make more money, but at what cost? One can have no car but spend three hours getting to work; is that a worthwhile trade-off? LHI measures to what degree we’re in control of our time and to what degree we’re using our life in “happy” pursuits defined in whatever way we wish: doing what we want to do. This person/family spends an average of 8 hours per day on discretionary activities they choose to do (including family time, gym time, hobbies, and a few hours at work they choose to count as “what they’d want to do anyway”). This person/family needs an average of 8 hours a night of sleep, leaving 16 non-required-sleep hours. One can optimize LHI by ensuring that no hours are wasted: all “free time” is spent doing productive activities that contribute to his or her happiness. Moreover, if one can choose between two jobs, all else being equal (a big assumption), the one that controls less of one’s time is the more desirable one that optimizes LHI. FHI is about balancing financial metrics with happiness. The aggregate of all five indexes is a measure of overall financial health. The examples below show how one can move the aggregate index substantially by making individual improvements in each of the base indexes. This example is formulated from the aggregate of the 4 examples above. This example is formulated by improvements on the four base indexes to demonstrate their impact on the composite FHI. There is an over 10x improvement between examples 1 and 2. 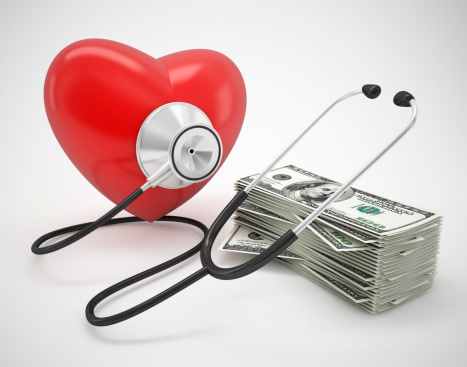 Optimizing each of the five base components will positively impact financial health. FHI is thus a very personal measure with no particular score threshold to be reached. Instead, I use it as a directional measure to ensure that, as I set and refine my annual and quarterly financial goals, I’m making decisions that positively impact it. Note that it is possible to have an FHI of zero if any of the components are zero; e.g., if you’re spending no time doing what you want to do (an LHI of zero), are you really financially healthy? By now, I’ve likely lost an additional one of my two readers and I’m looking forward to discussing this with the one brave person who persevered :-). You didn’t lose me! Well written, I enjoyed the part about the hours of free time, sometimes with kids these tend to “get away” from us, this has inspired me to track how they are spent! Thanks!!! Jessica, thank you so much for your enthusiasm on the topic and confirming it made some sense; I was worried about that. Best of luck to you! Hey Bassam how do you track these measurements? I this with an excel sheet? Could you please post a blank template, if this is the correct way in which you track these measurements? Or if tracked in another method could you please provide a blank copy, if possible? Great idea, looking to get into this with my own figures! Thank you very much for the note and kind words. I actually just manually calculate these once or twice a year as I evaluate if I’m taking steps consistent with my philosophy. These five KPIs essentially capture financial priorities and thus refocus me every once in a while. Best of luck to you! Interesting indices. My favourites are relative wealth index (RWI) & Income independence index (III).